One of the Happiest Country in Asia. 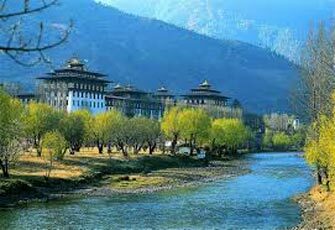 Border town of Bhutan; Phuntsholing. The Temple of the 'Devine Mad Man' -Chimey Lhakhang. Destinations: New Delhi, Jalpaiguri, Phuntsholing, Paro, Thimphu, Punakha, Phobjika, Bumthang, Gelephu, Guwahati and to New Delhi. Cross over into The Land of Thunder Dragon, Phuntsholing city, Bhutan. 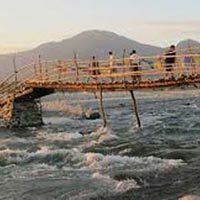 Phuntsholing is the point of entry for travelers arriving by bus from Kolkata and Siliguri and the town functions primarily as a place where Bhutanese and Indians do business. 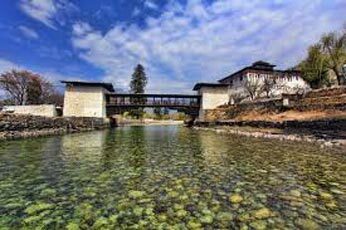 The architecture is modern, and there is no dzong, famous monastery or in fact anything of particular interest to tourists. 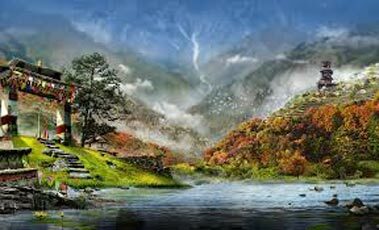 However, like all of Bhutan, it does offer a clean, pleasant and safe environment in which to go about your business. NB: Until 2005, it was possible for overseas visitors to enter the town without a Bhutanese visa. Except for Indian nationals, this is no longer possible. Indians are denied entry beyond the check post in the permit. Stay overnight at phuntsholing. Post Breakfast we head to get our visas and road permits. Ride all the way uphill to Paro, En-route stop at the beautiful Gedu University for photos and visit Rinchending Monastery, other villages and towns along the way. Lunch at hotel on arrival Evening free for local sightseeing in Paro - Dzong/ National Museum/ River etc. The day will begin by sightseeing in Paro. Start your ride and sightseeing of the Paro valley, visit DrugyalDzong, National Muesuem and Kichu Monastery. Today is also the day to get familiar with the Bhutanese traffic conditions. Time permitting we can also visit the Chelila pass at 4,000m to get great views of Mt. Jhomolhari and great Himalayan landscape views. 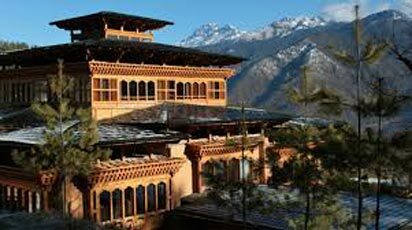 Stay overnight at Paro. Today we start early as we head to our 1st pass in this beautiful country From Thimphu you have about 2 hrs of uphill ride towards Dochula pass at 3,140m/10,299ft. 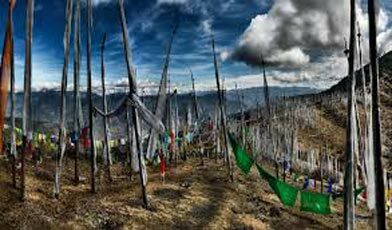 Weather permitting once you reach Dochula pass there are great views of the Bhutan Himalayas and also there are 108 beautiful stupas marked by a large array of prayer flags. This place is photographer’s delight. Visit ChimeyLhakhang- the Temple of the ‘Devine Mad Man’ just before reaching your Hotel. It is about a 15 minute walk from the road. Lama DrukpaKuenley is a deeply loved saint. He built this monastery in 1499 and it is also the temple of fertility. All the phallus painting and flying phallus on the farmhouses in Bhutan is his! It's an easy ride all the way to Punakha, one of the easy days of the trip. Lunch before we check into our hotel for the night. Evening free to ride around the small town and see the locals go about their daily chores. Stay overnight at Punakha. Overnight hotel in Punakha. After breakfast we start our beautiful ride to Phobjika. While riding, enjoy the still snow-capped alpine mountains with dense vegetation. Riding along this highway will allow you to experience the chilly winter winds but also observe the blessings of spring blossoming. Explore the village through a series of walking trails around. This place is world famous for the Tibetan Black Necked Cranes that nest here between November to February every winter.Overnight hotel in Phobjika. Day 10: Guwahati to Delhi and Departure. After your morning breakfast, our team will transfer you to the airport for your onward destination to Delhi. On arrival in Delhi. You’ll have to wait 6/7 hours at the International airport before you take your International flight onward to your home . At the end of the tour, you will have had an enchanting experience and have met many new friends all along the way. 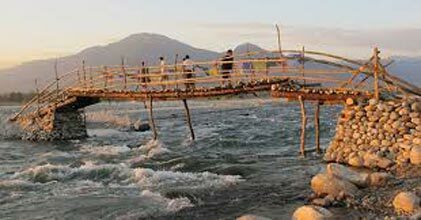 Adventures in Himalayan Countries are to cultivate and connect with ‘friends forever!’ We have many age old connections with other motor bike tour operators worldwide. Let’s dream together for another great and exciting adventure! We believe in creating memories that you will cherish for the rest of your life!